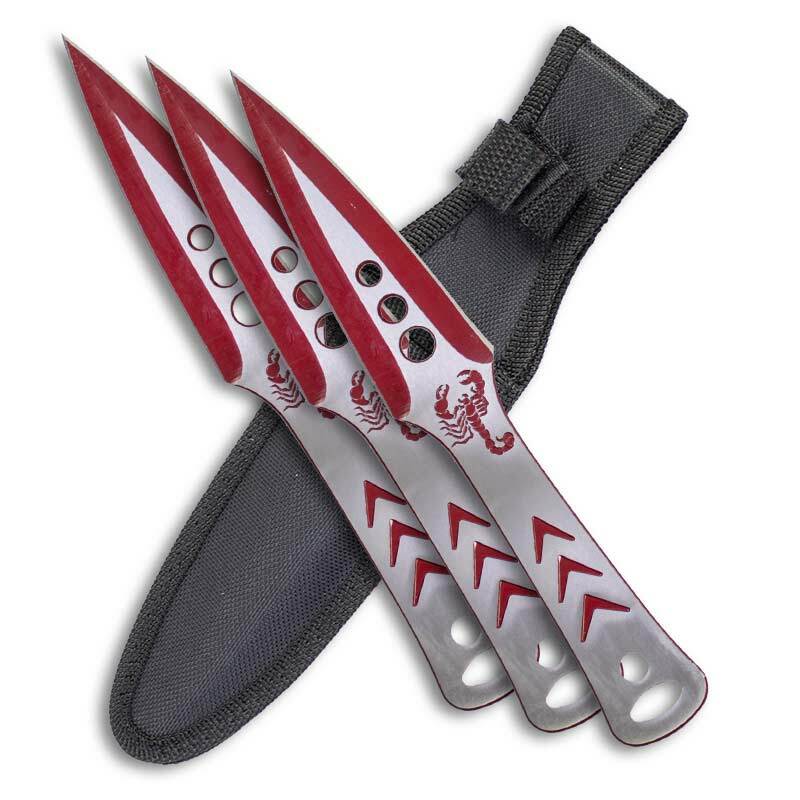 Throwing knives come and go, but the Red Scorpion Throwing Knives are a set of a throwing knives that you will want to come into your life so they can go rapidly out of your hand toward your favorite target. 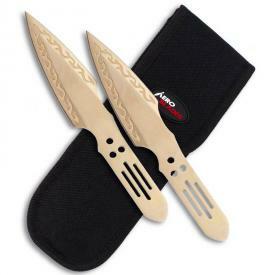 Each knife is made from stainless steel. 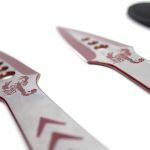 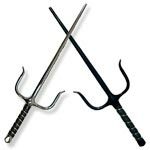 The red and silver design covers the edges of the sharpened blade, and includes a menacing one-inch red scorpion design etched into one side. 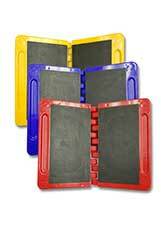 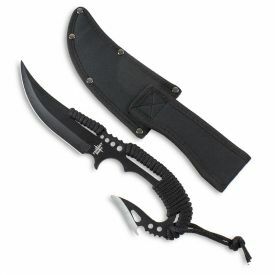 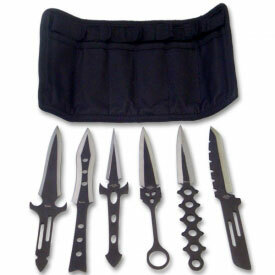 The set not only comes with three 9" knives, but also a handy nylon pouch that you can attach to your belt. 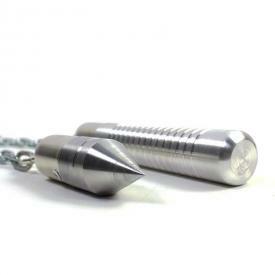 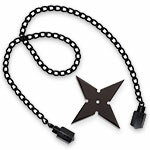 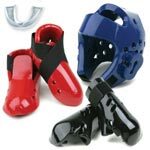 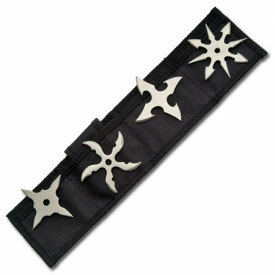 Holes are strategically placed to help these kunai inspired throwers swish through the air and also stay lightweight. Order your own Red Scorpion Throwing Knife Set today and show the world what you are capable of. 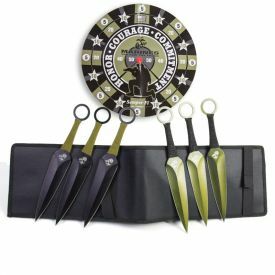 Each Knife Weighs 3 oz.